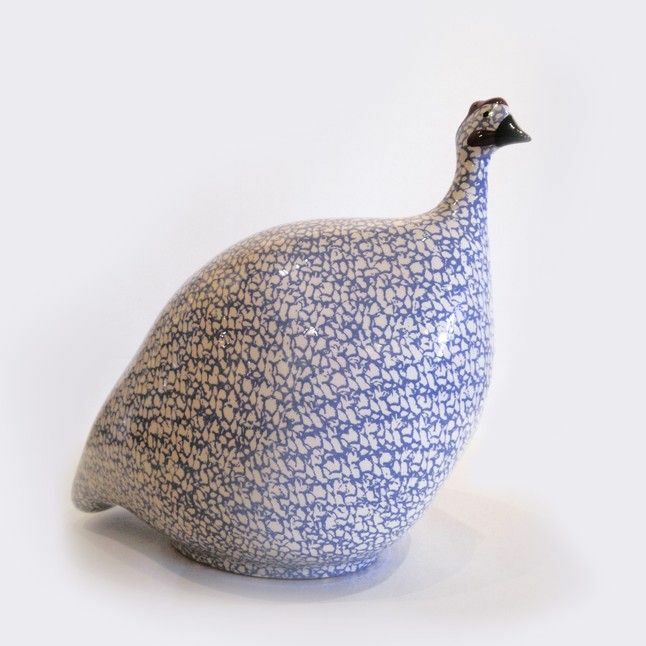 Heidi, a potter in Provence, was fascinated by the guinea hens abstract shape began to create them in clay. The forms are timeless and serene. The glazing, colors and decorations are subtle and lovely!